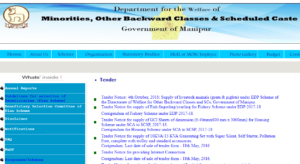 MOBC Scholarship Form 2018-2019 PDF Download Online @ mobcmanipur.gov.in – According to latest news available on the official website – The last date for Minority Pre-Matric Scholarship has been extended upto 15th October 2018 and the last date for Minority Post-Matric and MCM Scholarship has been extended upto 31st October 2018. In-depth, In continuation of our notification of even number dated 24th July 2018, regarding online applications, it is hereby informed to all interested students belonging to Minority Communities for the following scholarships that the closing date of online applications has been extended for the following scholarships as per the timelines indicated in the table. Being extended closing date as 15th October for Minority pre-matric scholarship, 31st October as Minority post matric scholarship and 31st October as minority MCM based scholarship. For detail information and submission of online application form, please log on to www.scholarships.gov.in. Details are also available on the website of Ministry of Minority Affairs, Government of India that is www.minorityaffairs.gov.in that of the Department officially. 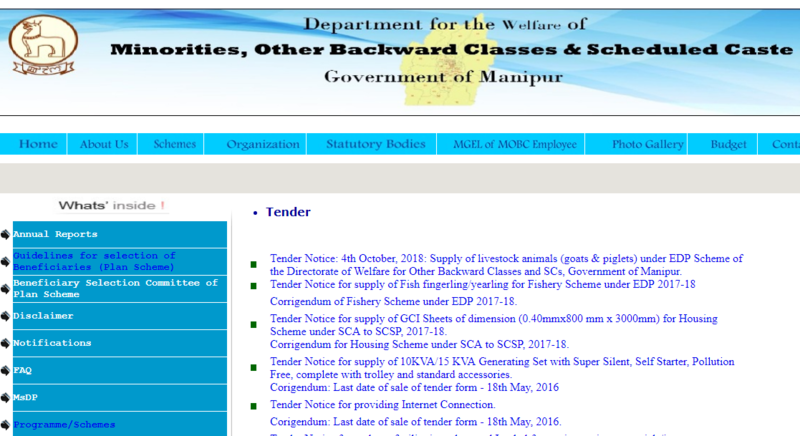 Recently, Department of Welfare of Minorities, Other Backward Class and Scheduled caste has also released Tender Notice: 4th October 2018: Supply of livestock animals (goats & piglets) under EDP Scheme of the Directorate of Welfare for Other Backward Classes and SCs, Government of Manipur.